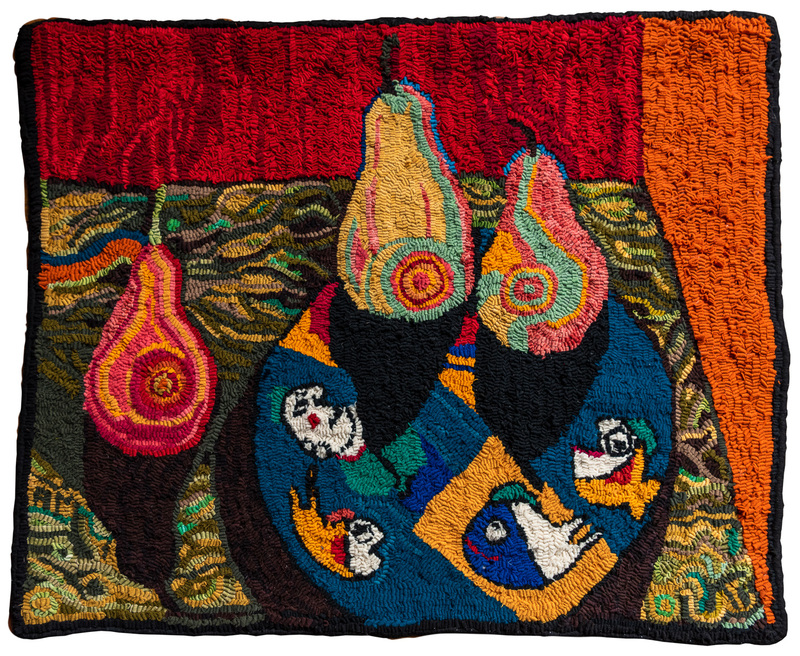 Hooked on Spring, 2019, our show of 35 contemporary hooked rugs. On view April 1-June 15, 2019. We are open Wednesday-Friday, 11-4; Saturdays, 11-2. Beautiful original work including depictions of Maine landscapes, reflections, cityscapes, cafés with diners, abstract themes, the natural world, and Maine's working world. Inspiring work! We are located in Topsham, Maine. Just a little beyond the bridge to Brunswick, on the corner of Green and Main Street. Traveling to Midcoast Maine, take Interstate-295 North to the first Brunswick exit. Follow Pleasant Street and stay in right-hand lane. At third stoplight, continue straight following sign "to Maine Street" (not towards "Bath"). Get in left-hand lane. At second stoplight, turn left onto Maine Street (Brunswick) and travel its length, staying in right-hand lane. Cross Frank Wood Bridge over the Androscoggin River onto Main Street, Topsham. Travel past the yellow Bowdoin Mill on your right, one-tenth of a mile from the bridge to #13 Main at the corner of Green and Main Streets. 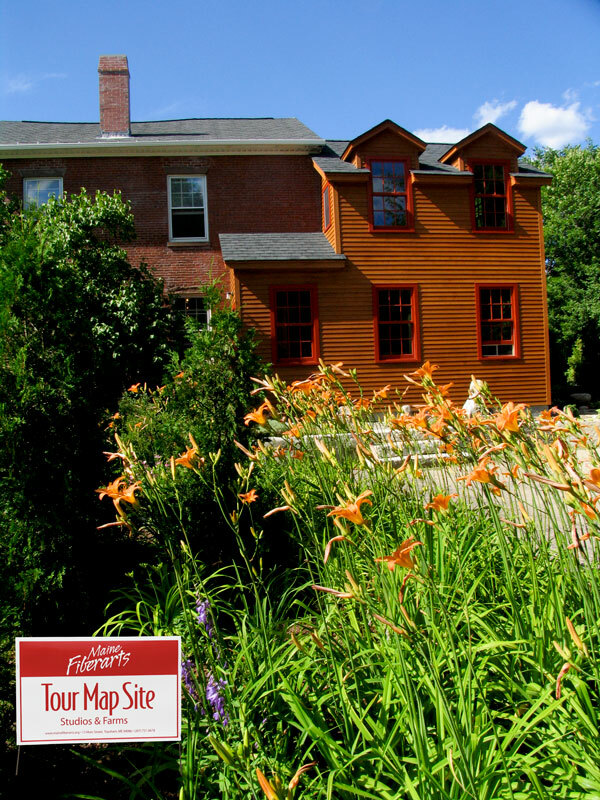 #13 is a red brick building with a sign that says "Maine Fiberarts." Park in front of our building or in the lot in the eight spaces directly bordering Green Street. Travel Route 1 South. Take the exit for “Topsham/ Routes 24 & 201” (not the exit for “Topsham/196" which takes you towards Lewiston). Exit puts you on the Frank Wood Bridge. Follow above. Take Interstate-295 South. After Augusta, be careful to follow signs towards "Brunswick," not Lewiston. Take: “Topsham/Brunswick/196 East" exit. Travel Route 196 East for four stoplights. Turn right onto Route 201 South following sign for “Brunswick/ Maine Street.” Building is located one mile from this turn on the left-hand side at #13 Main Street in Topsham. There are six spaces in front of our building or eight, in the old Fire Station lot directly bordering Green Street. 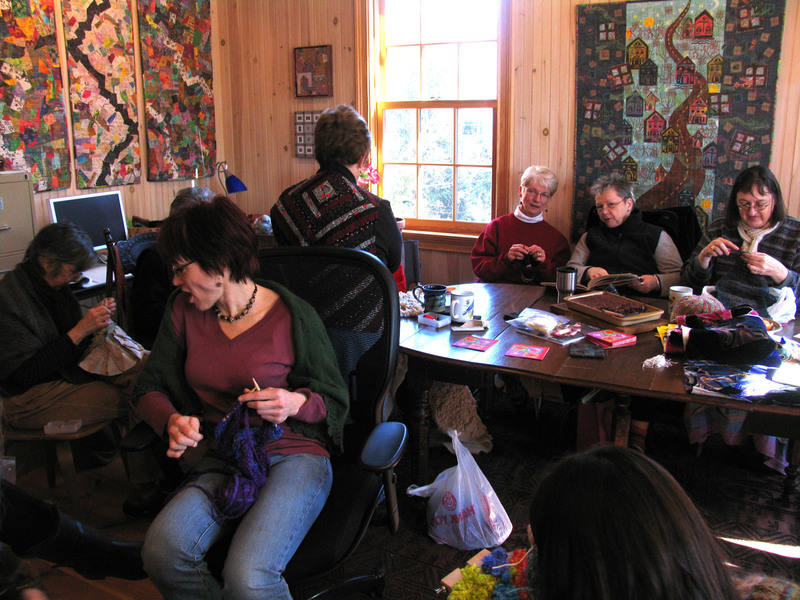 Maine Fiberarts has its own private parking lot. Enter through the trees on the side of the building on Green Street. 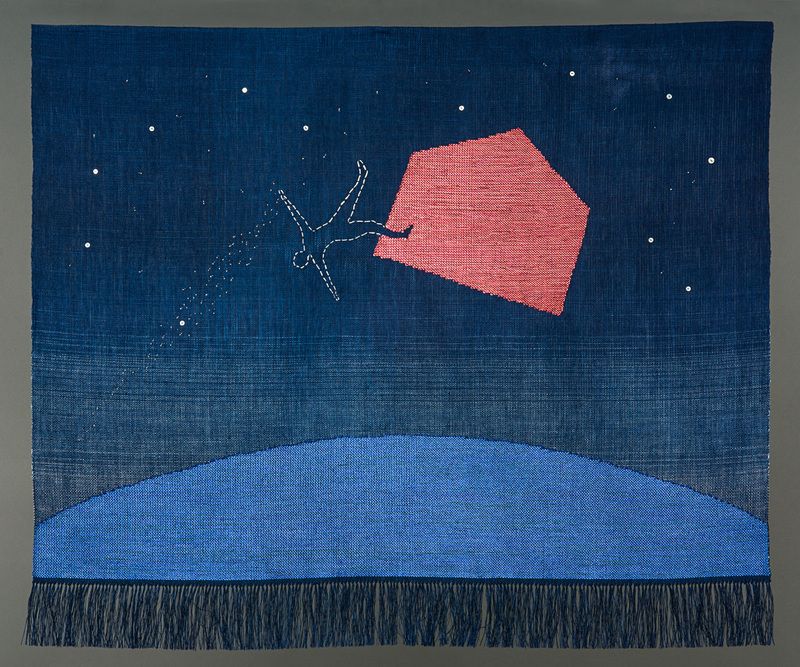 FIBER COLLECTIVE: Work by 24 Maine Artists. Art quilts, handmade paper, hooked wall art, collage, needlework tapestry, felted work, artists’ books, mosaics, braided work, netting, paper quilts, doll, mixed media, woven tapestry, weavings. 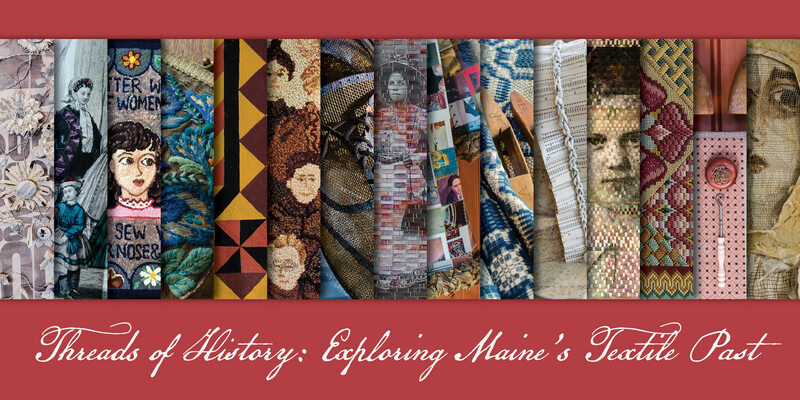 Maine Fiberarts presents “Current and Coming: Elizabeth Busch Art Quilts"
Dates: June 15–August 15, 2018. SHOW EXTENDED UNTIL August 31, 2018!!! 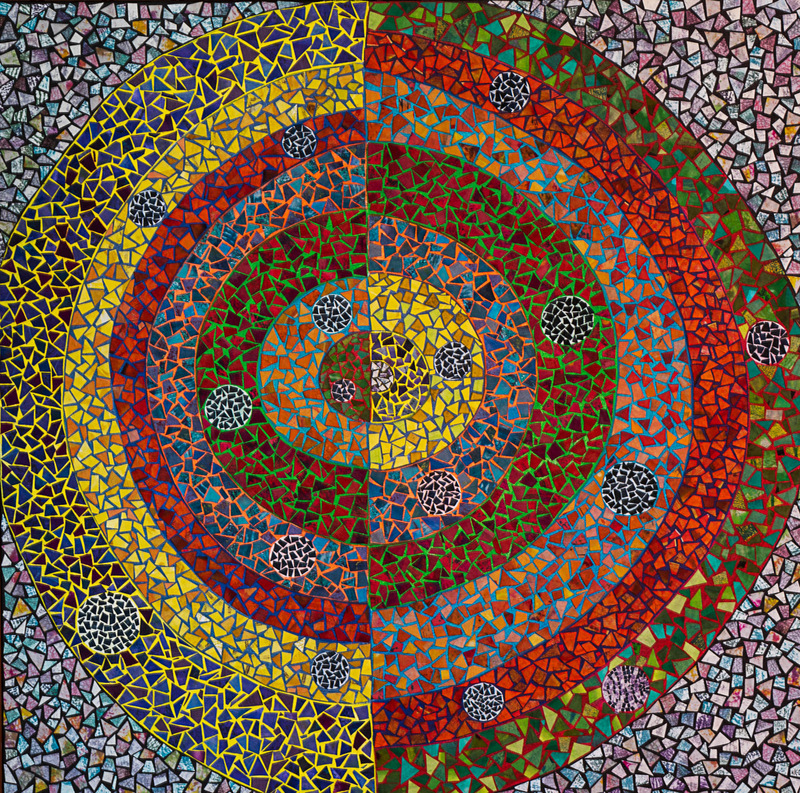 Reception: Sunday, July 22, 2-5 p.m. 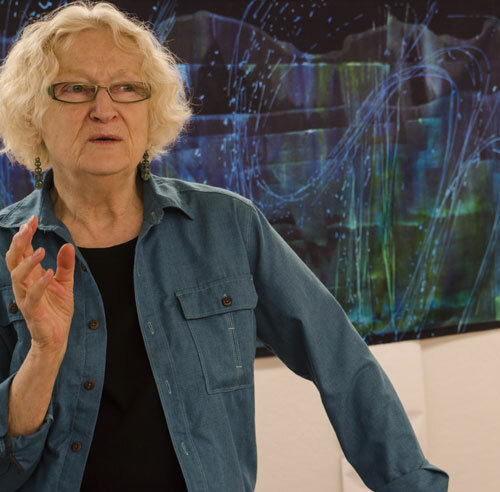 Writes Elizabeth Busch: "Having been an artist all my life and an 'art quilter' since 1983, I've come to realize that my art work is all about process. Whether I am airbrushing, spreading Textile Paint on canvas taped to my table top, hand quilting or weaving painted acetate strips through plastic netting for one of my large kinetic sculptures, I am responding to that voice within that tells me today it's time to make art. Fiber Friday gatherings are suspended from December 28, 2017 through February 28, 2018. Join us on the first Friday of every month from 10 a.m. until noon. All are welcome! Come visit, bring something to workon, stitch and chat.